Since the publication of her best-selling book Earth Angels (more than 80,000 copies sold), Doreen Virtue presented workshops about these lightworkers to several international audiences, which yielded additional information about the various realms that these beings originate from. In addition to the "core realms" that Doreen discussed in the first book (Incarnated Angels, Incarnated Elementals, Star People, and Wise Ones), some new realms have been discovered. 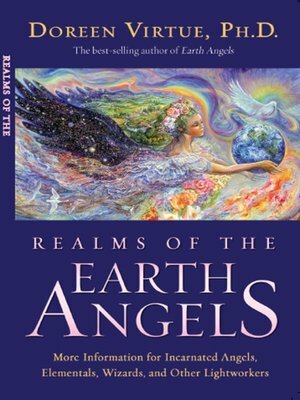 In Realms of the Earth Angels, Doreen discusses the original Earth Angels book, plus gives updated descriptions about the new realms, which include Mystic Angels (half-angel, half-wise one); Leprechauns (half-elemental, half-wise one); Merpeople; Knights; and more. As with the original book, you, the reader, can take an expanded quiz to help you recognize your own realm. Each realm has its own chapter, with Earth Angel characteristics, suggestions, advice, and case studies.